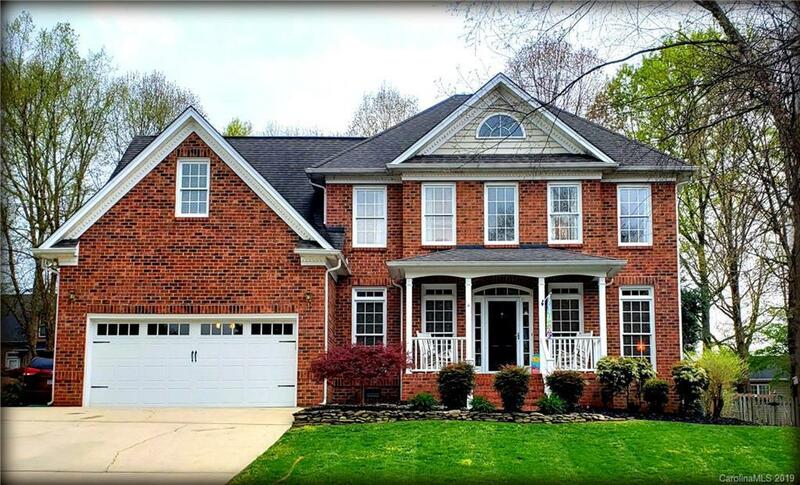 Riverwood Plantation- Beautiful spacious home, well loved and cared for. 5 bed/3 bath. Interior features: guest BR on main, hardwoods and ceramic tile on main floor, 2 brand new HVAC units, Rinnai tankless water heater, gas line ran for natural gas grill (grill included), custom arched doors on private front office, granite countertops, ceramic tile backsplash, and stainless appliances in kitchen, spacious bedrooms room with walk in closets, lots of storage. Exterior features: rocking chair front porch, screened back porch w/ fan, extended paver patio, fenced yard, nice wooden playset to remain, well manicured yard, exterior lighting, gutter guards. Great neighborhood. HOA offers pool and club house. This is the happening place to Trick or Treat (it's a walk only neighborhood!) Located right by Martha Rivers Park and Pelican's Snoballs! It's the total package. What a GREAT home in a FUN neighborhood!! !